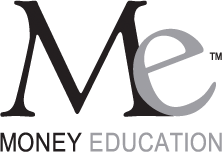 Located near New Orleans, LA, Money Education™ develops, designs and publishes academic and reference texts for the financial industry. The current portfolio of texts provides a focus on upper-level university students and business professionals pursuing a comprehensive curriculum in financial planning or needing a comprehensive financial reference. Money Education texts explore the depth and breadth of professional financial planning, making them ideal for those intending to take the national CFP® certification examination. Money Education was founded, is managed, and its textbook content created by active, financial industry experts and academics, many of whom have worked with the CFP Board in various capacities. This topical, real-world perspective forms the basis for the company’s text content, curriculum development, consulting services and financial research activity. Feel free to contact any member of the Money Education staff, its authors or financial experts. You will always find a personable reception and an eagerness to help.